Mayor Cory Booker will headline a campaign appearance in support of New Jersey's Democratic candidate for governor, state Senator Barbara Buono, hosting a "Listening Tour" Tuesday afternoon in downtown Newark, according to a source with knowledge of the event. A New Jersey legislative hearing Friday related to Hurricane Sandy cleanup turned into a partisan slugfest, as Republicans accused Democrats of using it to boost the chances of their party's candidate against Gov. Chris Christie (R) in this year's New Jersey Gubernatorial Election Race. 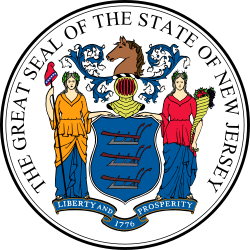 New Jersey voters overwhelmingly favor Gov. Chris Christie (R) for reelection in 2013, but are far more divided over his potential future as a 2016 contender, according to a poll released Tuesday by Quinnipiac University. The survey finds Christie maintaining a substantial lead over his likely Democratic opponent, Barbara Buono, taking 60 percent to her 25 percent. New Jerseyans were split almost evenly on whether they'd like to see Christie run for president or not, with 44 percent saying he wouldn't make a good president, compared to 41 percent who said he would. While Republicans overwhelmingly said they'd vote for Christie as governor, just two-thirds thought he'd make a good president. Independents were 30 points more likely to support Christie against Buono, than to say he'd make a good president, and the minority of Democrats who backed him at the state level also shrank for a presidential contest. Between 1900 and 1930, New Jersey's population more than doubled, and manufacturing became a $4 billion industry. Unfortunately, the Great Depression of the 1930s hit New Jersey hard, bringing massive unemployment. The state rebounded during World War II in the 1940s as New Jersey's electronics and chemical industries began large-scale operations. In the mid-1900s, people began moving back into the rural areas from the overcrowded cities. A number of transportation projects helped better connect New Jersey. The New Jersey Turnpike and the Garden State Parkway opened in the 1950s. The history of air travel has close ties to New Jersey. On May 3, 1919, the first passenger flight in American history was flown from New York to Atlantic City. Today, New Jersey is home to two international airports, Newark and Atlantic City. Newark Airport expanded its passenger and cargo services in 1963. In the 1980s, it became one of the world's busiest airports. 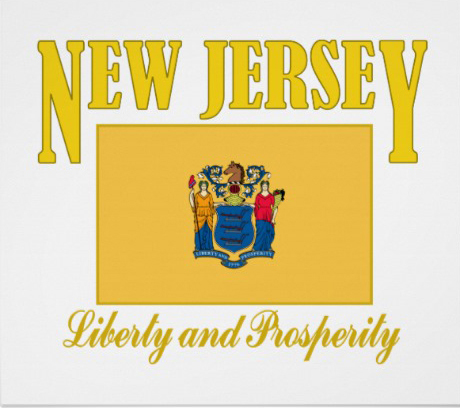 Today New Jersey is recognized for its present as well as its past. While remembering its proud history, New Jersey will continue to be the setting for many of the great events of the future.